Galea, F. Apap (J. Azzopardi), C. Mercueca, J. Pace (O. Cremona), A. Mizzi, J. Bajada (M. Bezzina), S.P. Bajada, H. De Souza Maciel, D. Sowatey, E.A. Da Silva, E.P. Lattes. J.P. Cassar, K. Borg, C. Bugeja, P. Parnis, B. Meilak, O. Curmi, D. Martins De Souza, M. Bajada, V. Tosic, S. Muscat, B. Polo Longarela. 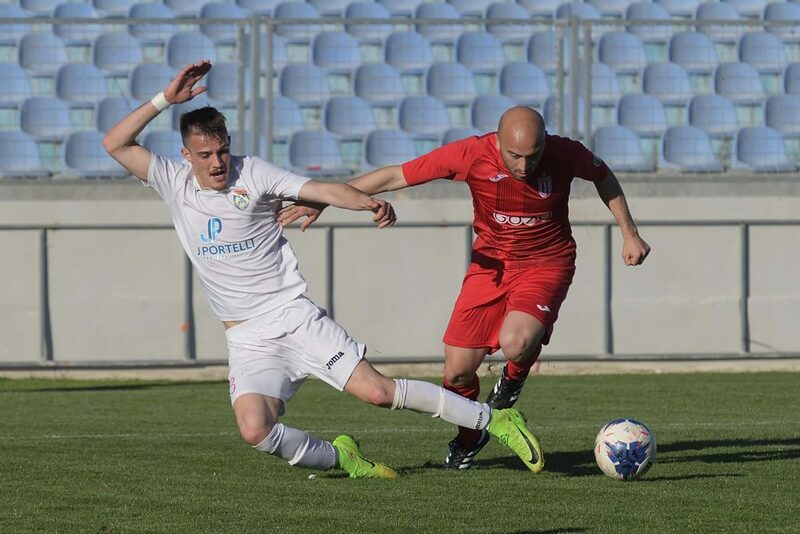 Victoria Hotspurs registered a large 8-0 win over Munxar Falcons and continued to impose their superiority in the top flight of Gozitan football. The Hotspurs scored four goals in each half and therefore the main concern of the match was the final issue regarding the final result of the encounter. The Hotspurs dominated this match against Munxar mainly because they were determined to make up for the difficult matches that they had against the same Munxar in the previous two rounds. Victoria’s Brazilian striker Elton Da Silva was the main protagonist of the match by scoring four personal goals and with these goals the striker regained command of the top-scorer table with twenty-two goals, four more than Nadur’s Marcelo Barbosa. The Hotspurs took command of play from the opening minutes of the encounter and in the first minute of play a shot by Elton Da Silva was well saved by Muxar’s keeper John Paul Cassar. On 9 minutes the same goalkeeper was turned to a corner a strike by Emiliano Lattes and on 11 minutes the Hotspurs opened the score through a fine header by Ferdinando Apap following a free kick by Shaun Bajada. On 14 minutes Victoria’s Christian Mercieca had a shot from a good position that ended high but two minutes later the same Mercieca entered Muxnar’s area from the right flank and form low cross Emiliano Lattes doubled the score with a shot on the run. 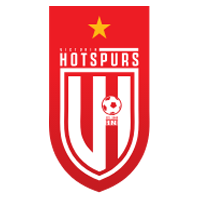 The Hotspurs scored the third goal on 18 minutes through a fine shot by Elton Da Silva following a personal action. The Hotspurs continued to dominate over Munxar and on 34 minutes an effort by Elton Da Silva ended wide. One minute later Victoria’s Daniel Sowatey had a header from a corner kick by Emiliano Lattes that was well saved by goalie John Paul Cassar. On 38 minutes the score became 4-0 when Munxar’s goalie John Paul Cassar partially saved a low shot by Christian Mercieca and from the rebound Shaun Bajada placed in goal from close distance. The Hotspurs could have added another goal on 40 minutes but goalie John Paul Cassar was well placed to block an attempt by Henrique Maciel. 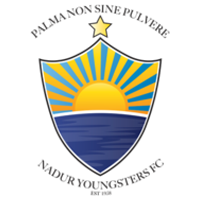 Munxar continued to suffer Victoria’s offensive play after the break and on 51 minutes a header by Henrique Maciel from a free kick by Emiliano Lattes was partially saved by the goalkeeper and the defence continued to clear the danger form the area. 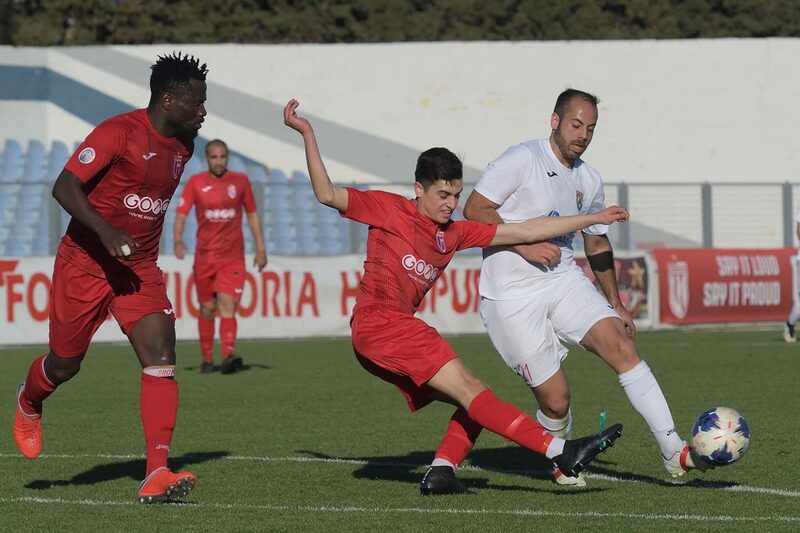 On 55 minutes Victoria’s Christian Mercieca entered Munxar’s area from the right flank and from his low shot Elton Da Silva netted with a low shot. 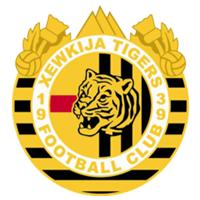 The same Mercieca produced a similar action on 58 minutes and from his pass Elton Da Silva fired the ball in Munxar’s goal for the sixth time in the match. The Citizens scored the seventh goal on 62 minutes with a hot on the run by Henrique Maciel following a fine move by Elton Da Silva and three minutes later Munxar had their best opportunity to score a consolation goal but an effort by Borja Polo Longarela was neutralised by Victoria’s keeper Daniel Galea. 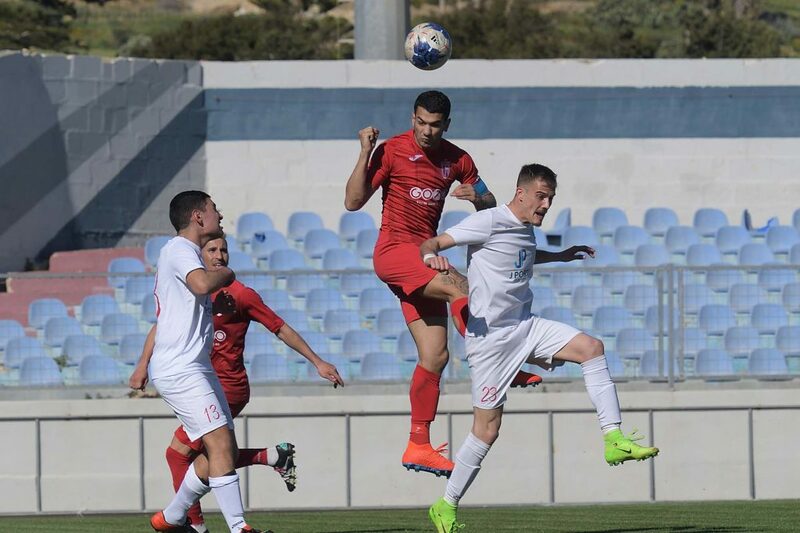 The Hotspurs scored their eighth goal on 69 minutes when the referee awarded a penalty for handling within Munxar’s area following a cross by Christian Mercieca and Elton Da Silva scored his fourth personal goal in the match with his shot from the spot kick. On 75 minutes Munxar’s keeper John Paul Cassar was well placed to block a clos enraged shot by Henrique Maciel and on 86 minutes the same goalkeeper turned to a corner a shot by Shaun Bajada. From the same corner action a shot from outside the area by substitute Michael Bezzina ended just over the crossbar. 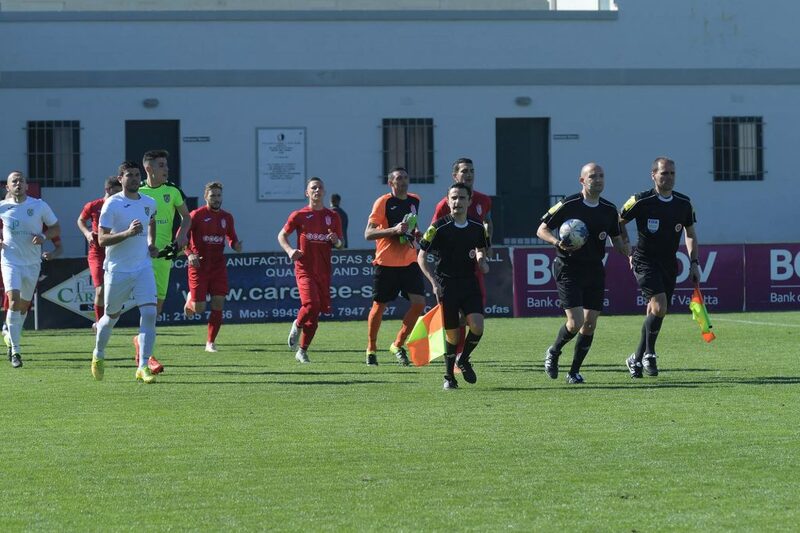 Munxar protested for a penalty on 88 minutes when Borja Polo Longarela ended on the floor in the area following a challenge with substitute Justin Azzopardi and the same Polo Longarela had a good attempt on the stroke of regular time that just missed the target so that the score remained unchanged.